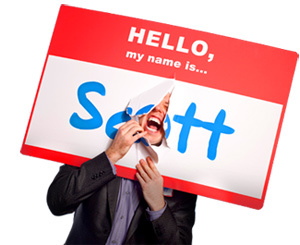 Shtick Only Goes So Far - HELLO, my name is Scott! Now, does that mean shtick is bad? Sure, shtick is catchy and cool and clever and fun and different. But in business, that will only carry you so far. Sure, shtick might get you in the door. But in marketing, that doesn’t guarantee you’ll stay in the room. Only VALUE and SUBSTANCE can do that. 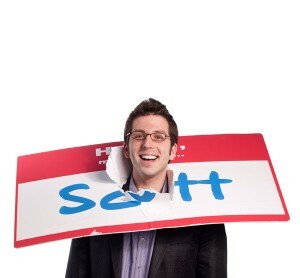 Take it from a guy who made a career out of wearing a nametag 24-7 for the past 2,380 days. Sure, it’s SHTICK-Y, but only substance has made my career STICK-Y. Sort of like comparing Dum-Dum Pops and Tootsie Pops. Both are delicious. Both are popular. Which isn’t to say that Dum-Dums are bad. People love Dum-Dums! But in business, you CAN’T just be all sugar. Customers want to take a few licks and then discover your Tootsie center.